Hey, friends! We have a fabulous new challenge and sponsor for you over at the Curtain Call! Yep, that's right! 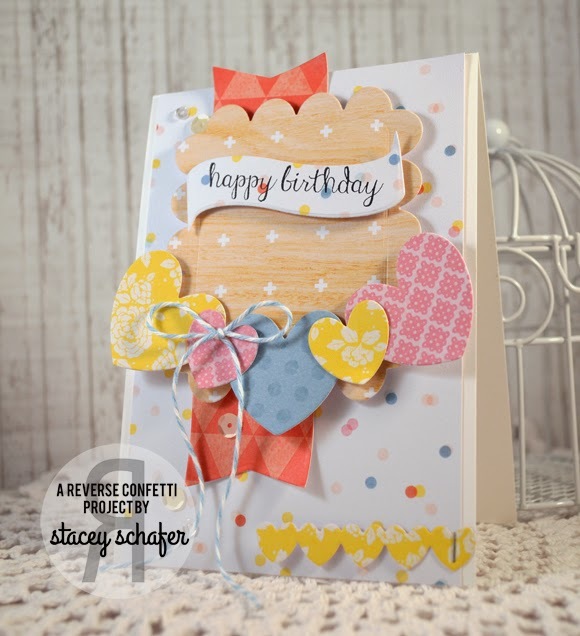 We're crushin' on confetti....Reverse Confetti, that is! 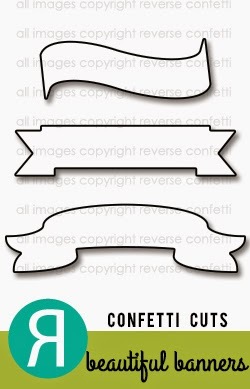 We have a fantastic new sponsor, Reverse Confetti, for the Curtain Call Inspiration Challenge: Confetti Crush! The LEAD of this challenge will receive a gift certificate to the Reverse Confetti store! The confetti in the graphic reminded me of the Love Note hearts, so I went with it...adore placing these sweet hearts together as a celebratory banner! 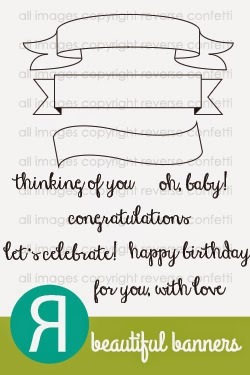 The Love Note scalloped frame is decorated with a sweet "happy birthday" Beautiful Banners sentiment and banner from Beautiful Banners. There's a little bit of Tag Me peeking out from behind the main frame/banner treatment, too! I had a ball with this challenge! 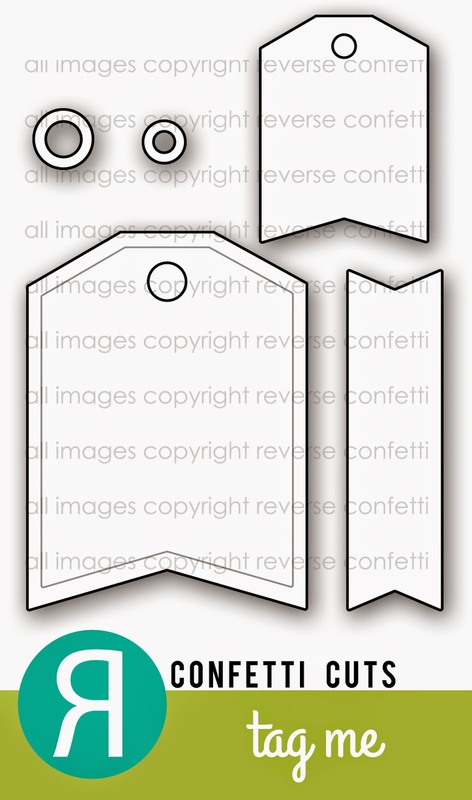 What a thrill to work with Reverse Confetti! There are a few extra special embellishments on here, too! Pretty Pink Posh Lemon Meringue & 4mm Sparkling Clear Sequins, and The Twinery Shore Baker's Twine! The Curtain Call is over the moon that the owner of Reverse Confetti, Jen del Muro, is joining us today for the Confetti Crush challenge. 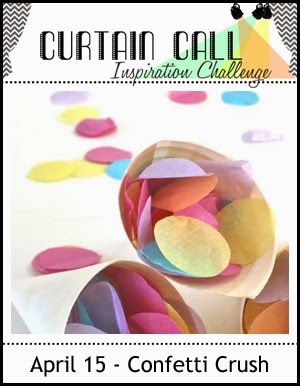 Stop by the Curtain Call Inspiration Challenge: Confetti Crush and play along with us! oh, Stacey! I loooove so much about this. that heart banner and layout and how you used the colors....awesome! LOVE your banner Stacey! Fantastic spring papers too! Such a fun and happy card Stacey!! 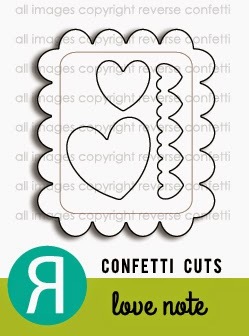 Love that banner of hearts and the fun confetti paper in the BG :) Darling card. Your heart garland is so cute! What a sweet card Stacey. Love the prints on the papers, the bright colors... the hearts look great.